Fr. Joseph D. LaPlante, CSV, died Aug. 25, 1946 at St. Mary’s Hospital in Kankakee, from complications related to an incurable heart condition. He was 71. Fr. LaPlante was born Dec. 22, 1874 in Lake Linden, MI. At the young age of 12, and possessing an advanced youthful piety and manly behavior, he enrolled in St. Viator College in Bourbonnais. His career as a student was one of distinction. He repeatedly earned scholastic honors and eventually earned a Bachelor of Arts degree. In 1894, after his college courses, he entered the Viatorian novitiate, then located at Crawford and Belmont avenues in Chicago with the Rev. Cyrille Fournier, CSV, as his novice master. Following the novitiate, Fr. LaPlante was assigned to the staff of Holy Name Cathedral School in Chicago from 1895 to 1897 with the Rev. Thomas J. McCormick, CSV, as his first superior. Fr. LaPlante professed his first vows on Jul. 4, 1896 and final vows on Sept. 12, 1901. 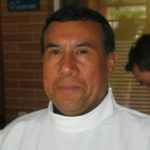 He was ordained to the priesthood on Jun. 29, 1902. His first assignment as a zealous young priest was at St. Viator Normal Institute as the master of novices. Fr. LaPlante directed the religious formation of several, who in later years, were outstanding priests of the province. In 1909, Fr. LaPlante was called to St. Viator College to teach in the departments of natural sciences and languages – possessing ample qualifications for both fields. 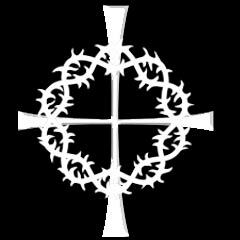 Other assignments included teaching moral theology at the Columbus College Seminary in Chamberlain, South Dakota and at the Viatorian Theologate in Chicago. The same devotion to his academic ministries was also exemplified for many years in his pastoral service. He served as pastor at Palatka, FL; Chamberlain, SD; and at L’Erable, IL and assistant pastor in Bourbonnais. Fr. 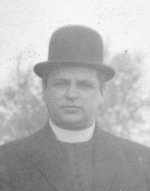 LaPlante also served as chaplain at the Municipal Tuberculosis Sanitarium at Chicago and the State Hospital in Kankakee. In his later years of life, he also was the chaplain for the sisters and students of Notre Dame Academy in Bourbonnais. His body lay before the high altar of Maternity Blessed Virgin Mary Church in Bourbonnais until the conclusion of the funeral services on Aug. 28. The Rev. Richard J. French, CSV, provincial of the Viatorian Community, celebrated the requiem Mass, and the Rev. Joseph F. Moisant, CSV, delivered the funeral sermon. Fr. LaPlante was laid to rest in the community plot at Maternity BVM Cemetery.